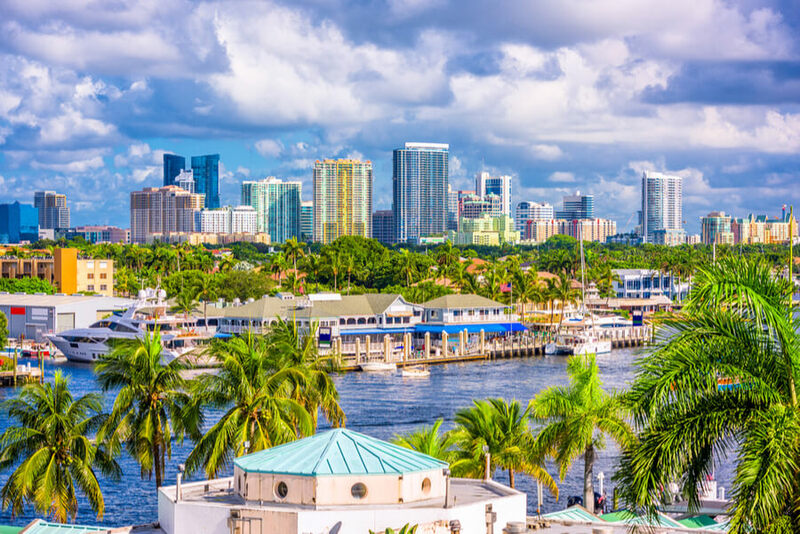 Located in Florida’s city of Fort Lauderdale, Inspirations for Youth and Families is a well-known residential treatment center for teenagers between the ages of 13 and 18 dealing with substance abuse, chemical dependency, and behavioral or mental health issues. The treatment center also acts as a private school with educational amenities. The facility has operated for ten years and helped thousands of families on their way to recovery. The center emphasizes the use of a “real world treatment” approach which includes various forms of therapy, family involvement, and academics. The facility offers individualized treatment, which means patients are cared for differently and provides support for teens dealing co-occurring mental health disorders. The facility also offers treatment for eating and learning disorders. Gender-specific residential treatment programs are also provided at the facility which provides patients with a 4 to 1 ratio of staff member to teen and the chance to learn about living and coping skills. An aftercare program is also available to help teens transition back into home life and individuals going through substance withdrawal symptoms may be admitted into the facility’s detox program. The center boasts of a qualified, multidisciplinary treatment staff and Master’s level educational team. These include licensed therapists and psychiatrists. The facility offers gender-specific living areas which are supervised and made to feel as comfortable as possible. The rooms are furnished with 4 beds and so clients should expect to have three roommates. Bathrooms are also shared and the apartment also comes with a kitchen, therapy, living, and academic areas. Clients handle their own laundry, cooking, cleaning, and shopping. All activities and meal times are gender-specific and transportation is provided for clients to move to and from the treatment facility. Video games are prohibited at the facility until teens reach their last steps of the program although TV watching is allowed following treatment. The facility offers a detox program for substance-addicted teens to help rid their bodies of toxins. The process lasts for about three days to a week although this length of time may vary. Teenagers in this program are monitored 24/7 by nurses and doctors while they go through withdrawal symptoms. After the detox process, clients may begin the rehabilitation program by engaging in group therapy, AA/NA meetings, and meetings with an addiction counselor. The residential treatment program is designed for teens dealing with behavioral and substance abuse issues. Clients are engaged in an immersive program during treatment which includes group and therapeutic sessions and 24-hour care. Teenagers are also taught accountability and decision making. Inspirations for Youths and Family costs approximately $12,000 for a 30-day treatment program but this price is subject to change as it is greatly dependent on the type of the treatment a client is registered into. The facility is in-network with most insurance companies and is willing to work with out-of-network providers. Clients are advised to contact the facility for more information on benefits and coverage. The facility is accredited by the DCF (Department of Children and Families). The organization offers recreational programs and fun activities which include paintball, deep-sea fishing, baseball, beach outings, yoga, horseback riding, and more. A teen recreation center which is located around the neighborhood with excellent facilities which include soccer fields, basketball courts for both indoor and outdoor games, a heated swimming pool, and many more. The organization also offers fun trips to teens registered at this center which includes live theatres, professional sporting events, performing arts theatres, museums, and more. In entirety, the treatment center is very passionate about helping teenagers through the transition from addiction to living a sober life. The goal of Inspirations for Youth and Families includes helping teenagers and adolescents regain responsibility and accountability of their lives and maintaining a life of sobriety. Clients looking for a treatment center that is focused on helping teenagers suffering from mental health and addiction disorders will find Inspirations for Youth and Families to be a good option. Karen is one of the founders of Inspirations for Youths and Family and is also certified by the state of Florida (South Florida) to be a Substance Abuse Treatment Professional. Prior to opening the facility, she worked as an MFT (Marriage and Family Therapist) for seven years. Chris is also a founder of Inspirations for Youths and Family and is licensed to be a Practical Nurse having over 20 years of experience in the behavioral health sector, treating both substance abuse and mental health issues. He also has over 15 years of experience working in a nursing setting. He is passionate about treating teenagers and enhancing addiction treatment in families. James holds a Master’s degree from New York University in Counseling Psychology and a Doctorate degree in the same course but with a focus in Employee Assistance Training. He certified by a board practice to be an Addiction Professional, practice Domestic Violence Counseling, He has been in the behavioral health field for over 25 years now and state licensed to practice Mental Health Counseling.